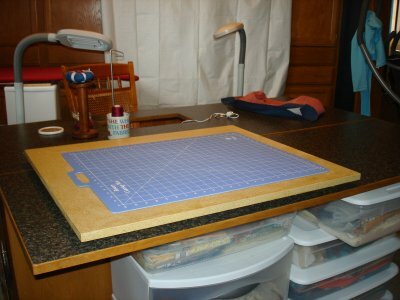 Do you have a rotating cutting mat ? If so, what do you think about it..are they any good? I'm thinking of getting one but want to see your opinions first. A lot of people say to save your money and just use a smaller mat, but I love mine. I like my Omni cutting mats. I have both sizes of rotating mats. I just have to remember to use them. they do come in handy for trimming blocks and cut pieces. I was so excited to get one but I rarely use it. A friend has the Brooklyn Revolver, and uses it constantly. She does a lot of Square in a Square patterns. 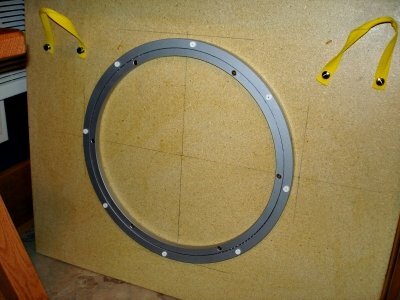 As I wanted one, but didn't want to spend that much $, I tried an Olfa - they are square on a black square base. Didn't work at all for me, so I gave it away. Somebody said maybe I had a defetive one (it was hard to turn), so I tried again - same thing. Then I went the home made route; didn't like that, either. By then, I could have bought the darned Brooklyn Revolver, lol. Finally ended up buying Martelli's when it was half off. Still ridiculously expensive, but at least it works - when I want to use it, which isn't as often as I thought I would. I love mine for trimming blocks. Like others, I need to remember I have it sometimes but when I'm doing a bazillion hst's - OMG - it's the best thing since cream cheese! i got one as a gift and use it for my small dear jane blocks. i'm glad i have it. i keep it out with the dear jane project. i'm i'm doing just a smaller project, i probably wouldn't dig it out for that. I like to put my 18 X 22 mat on top of my big one. The smaller mat turns really easily if needed. I have both sizes and love them for squaring up blocks. They work great, no problem. I picked up a couple 8x11 ish Olfa mats for about .25 cents each at a local quilt show boutique. I use that to square up blocks or take to class. They are small enough to keep to the side of the machine, and can turn just as good as the rotating mats for a lot less money! They shouldn't be that much money at Joann's with a coupon, or keep an eye out at local shows. I have the Olfa one, and have just about worn it out. It's not that I've used it that often - but when I use it, I must be using it too hard. I love mine. It's great for squaring up. I meant "Olfa". sigh I always get them mixed up. Olfa, Omni. Omni are my rulers. Although I prefer Olfa mats, I couldn't justify the extra expense for the Olfa brand, so I bought the Fiskars 14" rotating mat. It's been fine. It's great because it's big enough to square up a 12.5" block and when the mat goes, I will cut up an Olfa mat and glue it to the top. I use mine all the time....it's so handy for squaring up. As it is pretty well worn, I'm going to buy another to replace it. 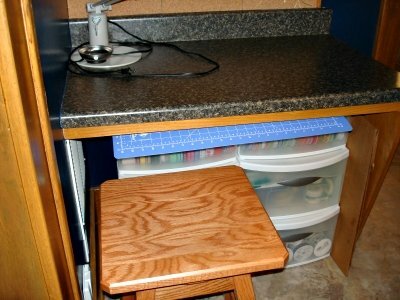 My cutting station is a high kitchen cooking island on locking wheels. It folds up, even though I rarely do this as I have bot shelves full. I can access the fabric 360 degrees. I do have an older Brooklyn Revolver and love it but don't need it now. Got one and use it a lot. I haven't used mine a lot but when I do I really like it. I mostly forget it until I'm having problems caused by having to move my fabric and then I get it out and really appreciate it. I thought about buying one but instead I bought a smallish mat and put a handtowel under it. It spins easily and doesn't scratch/rub my kitchen table which is where I like to do small work. I have both sizes and really like using them. In fact, I was using my large one when I left my sewing room to check the Board. To me, they were worth the money because I use them so frequently. they have seriously gone up in price though since I got mine. so look for a sale or coupon. good luck.